Salsa is a broadly international genre that started in Cuba, Puerto Rico, and New York, but it is a fundamental part of the Colombian music scene both historically and contemporarily. Colombia has its own distinct brand of Salsa that was largely begun by Julio Ernesto Estrada López (“Fruko”), who founded The Latin Brothers, and (even more famous) Fruko y Sus Tesos. Here’s a few tracks from one Latin Brothers album, there’s plenty more to come. This is just a taste. Some of the most prestigious Salsa schools in the world can be found in Cali, the salsa capital of Colombia. Colombian salsa is smooth but very fast. All the dancing is in the “crazy legs” footwork. The upper half of the body stays almost completely straight and relaxed, while the legs do very rapid, complex movements. One of my dominican friends claims that only Colombians are genetically capable of this kind of footwork. See all that upper-body movement and those “cross-body leads” in the New York salsa? 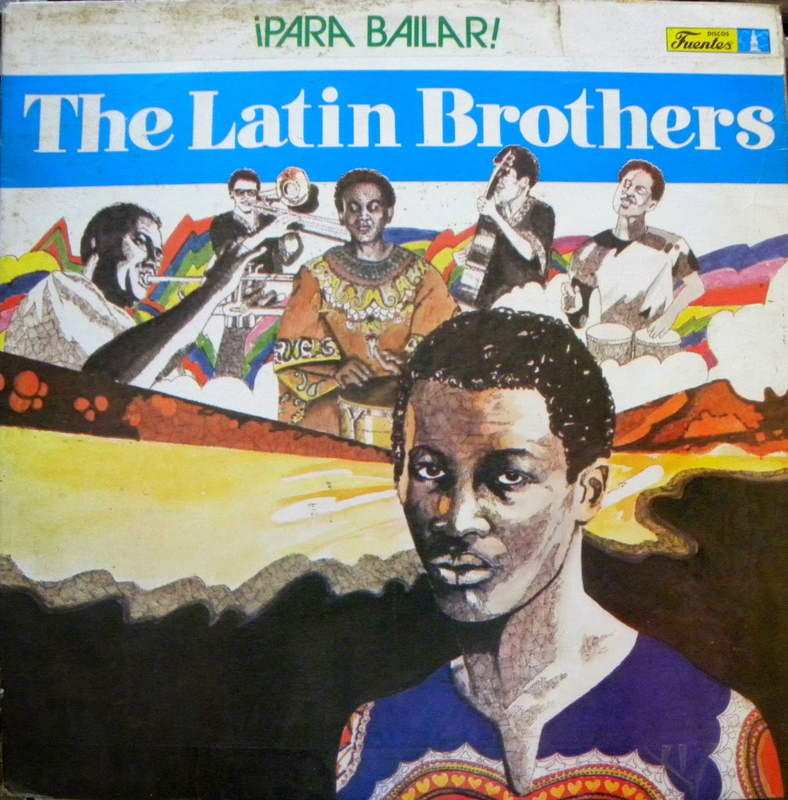 This album by The Latin Brothers isn’t particularly famous, but perhaps in its anonymity, it’s still a good place to start. As with almost any kind of music, Latin music can kind of all sound the same at first. What is the difference between cumbia and salsa? The best I can say is that the difference in sound corresponds really well to the difference in the way people dance. All this music is intricately tied with dance: you can’t have one without the other. Cumbia is all about the hips. They move along with the grinding three beats of a shaker or scratcher, like in Brinca la cuerda, as if you were swinging a hula hoop. Colombian salsa is all about the legs, they move back and forth in solid 4/4 time, swinging 2 beats one way, 2 beats back. There’s almost always a cowbell or a clave to mark each step. Can you hear any difference? The lyrics here aren’t particularly powerful. They’re about Colombia, the coast, women, marriage, partying, and life. All in a typically Colombian gender-normative way. Don’t worry too much about it, you can imagine what they are… just make them up as you go ;).